Adoabi Kurylov, 37, of Darien was charged with breach of peace in New Canaan on Wednesday after she confronted a driver while she was riding her bicycle, according to police in that town. In addition to other arrests previously reported, since the beginning of summer she has been arrested in Darien on 44 charges related to illegally obtaining prescriptions on 11 occasions. Westport police filed two similar charges. Darien police also charged her with driving while under the influence. None of these recent Darien charges have been announced by police. After numerous arrests, some involving violence, Kurylov was not in custody as of last Wednesday. She is, now. — This article, in different form, was first published by NewCanaanite.com. David Gurliacci contributed to this article. The same woman has been arrested before in Darien and New Canaan in connection with confrontations, including confrontations with drivers when she was out riding her bicycle. Although New Canaan police said they released her on Sept. 12 on a promise to appear in court, as of Monday morning, Sept. 17, the Connecticut Judicial Branch website said she was in jail with a $50,000 bond. Her next day in court is on Oct. 24. Shortly before 5:46 p.m. on Wednesday, Sept. 12, Adaobi Kurylov was riding a bicycle north on Main Street and approaching the intersection at East Avenue. A vehicle driven by the victim also was traveling north on Main Street and used a turn signal to indicate a right turn onto East Avenue. The driver turned right and then left into the parking lot, police said. Kurylov, on her bike, followed the car into the parking lot and confronted the driver, saying she’d nearly been hit. Officers were dispatched to the parking lot on a complaint that a bicyclist had almost been hit by a vehicle. It isn’t clear just what Kurylov said to the driver, or how, but following an investigation, police charged Kurylov with second-degree breach of peace, a misdemeanor. Darien police have not issued news releases about arresting Kurylov in other incidents in recent months. On June 4, Darien police charged her with 44 crimes related to illegally obtaining or selling or forging a drug prescription on 11 different dates between June and November 2017. (On Aug. 14, Westport police filed two counts on charges also related to passing a fraudulent prescription in that town on July 15. On Aug. 30, Kurylov was charged by Darien police with driving while under the influence, driving an unregistered motor vehicle and driving it without proper insurance. On Sept. 9, 2017 in New Canaan, police were called when at least one driver told them Kurylov was riding her bicycle in the middle of the road, refusing to move to let cars pass. On that occasion, police said, she “failed to cooperate in any capacity” when they began questioning her, refusing even to provide her name or any ID, a police report said. While officers were speaking with her, she tried to ride away. After more than one attempt to get her name, police charged her with interfering with an officer. On Dec. 11, Kurylov was riding her bike on Hollow Tree Ridge Road, just west of the entrance to Wee Burn Country Club, when an elderly man drove up behind her and realized, too late, that she was in the middle of the roadway, he told police. He slammed on his brakes, but he couldn’t avoid hitting the back of her bike, which caused her to fall. A retired medical doctor, he went to help her, but Kurylov (also a medical doctor) pushed or punched him, knocking him down. That broke his hip, and he was treated for a severe hip fracture first at Stamford Hospital, then at Yale-New Haven Hospital. When an ambulance came to help, Kurylov swore at them and told them not to touch her. She denied pushing or punching the man or in any way causing him to fall, but police charged her with third-degree assault. On Jan. 15, 2018, a New Canaan police officer spotted Kurylov on her bike in downtown New Canaan and, knowing she was wanted on a charge of failing to appear in court in connection with the Sept. 9 incident, the officer stopped her. When she was taken into custody on that charge, she kicked the arresting officer, was uncooperative during the booking process for the arrest and interfered with officers in the booking area when they tried to fingerprint her. 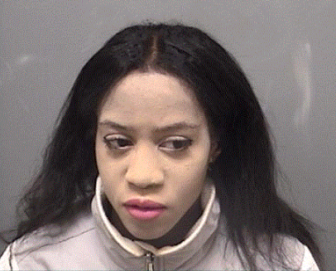 On March 13, she was charged with third-degree assault and disorderly conduct after a man reported to police that she had assaulted him in a domestic dispute at the Avalon Darien apartment complex. Police saw he had cuts on his lips, a red mark next to his eye and a scratch on his neck. On April 10, Kurylov and a man she was in a confrontation with during a domestic incident were each charged with disorderly conduct in the Avalon Darien apartment complex off of Hollow Tree Ridge Road, police said. Also on April 10 (mentioned above) she was arrested by Stamford Police on a charge of disorderly conduct. The Darien domestic incident is not listed in the Judicial Branch online public record. Domestic incidents may be sealed; it is also possible the online record could possibly be listing the Darien charge as a Stamford charge. On June 4 (mentioned above), she was charged by Darien police with dozens of counts of illegally obtaining and selling prescription drugs throughout 2017. On Aug. 14 (mentioned above) Westport police charged her with fraudulently obtaining a drug prescription and illegal use of a forged prescription on July 15. That case is in state Superior Court in Stamford. On Aug. 30, (mentioned above) Darien police charged her with driving under the influence and without proper registration or insurance. Kurylov is involved in other legal matters, according to Connecticut Judicial Branch records. In June, Avalon Bay Communities in Darien filed to evict her from the premises in connection with an alleged assault. She’s also getting divorced. The elderly man she was accused of assaulting back on Dec. 11 is suing her. A 58-year-old man was driving while under the influence in Darien late Monday afternoon, Aug. 6, and the unregistered car he was driving had a license plate from another car on it, police said.